As fellow app developers we understand the excitement and eagerness to get your app out to as many people as possible, as quickly as possible. However to properly promote an app you need an online presence, or no one will know that you exist. Waiting for your designer to finish your website could take days or weeks. The time that you spent waiting for your website to be built, could have been spent to promote your app. Instead of sitting around waiting for your designer to build you a website, you can build your own within minutes using a WordPress theme such as AppifyWP or Templatic. We aren’t saying to entirely ditch web designers, but working with a web designer can sometimes be both time consuming and expensive. Save time and money by using a WordPress theme such as AppifyWP to create your very own website. The powerful editor and customizations included with the theme allow you to create a website without needing to know any code. 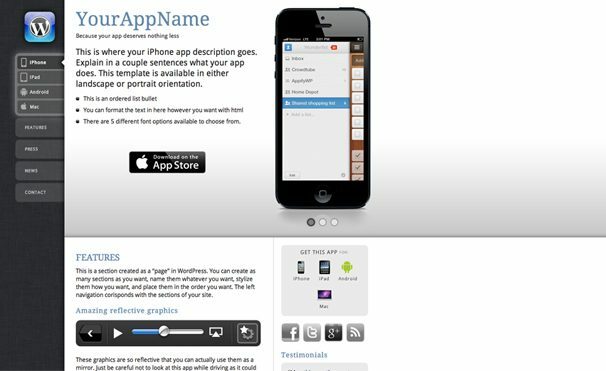 Themes such as AppifyWP and Templatic are designed specifically for developers who want to quickly build a professional website for app promotion. In today’s market you can’t expect to market your app without a website. Having a website for your app makes it instantly appear much more legitimate and worth someone’s time to try out. WordPress themes are incredibly accessible and flexible. Cory Shaw (creator of AppifyWP) realized how difficult and distracting it was to develop a website straight after finishing your app. He came up with the solution to build a WordPress theme that would enable app developers to effortlessly build a website within a short amount of time. 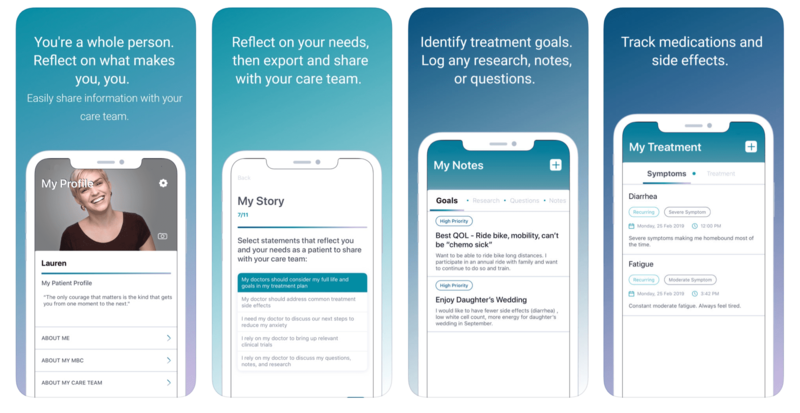 Having worked as a User Experience Designer and Front-End Developer, he knew exactly what app developers were looking for. 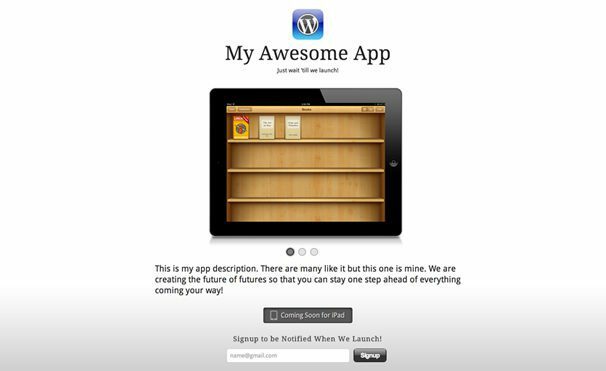 AppifyWP comes with features such as a “coming soon” landing page, support for multiple apps and much more. Without typing in a single line of code you can create your very own website and customize it to suit your own needs. The sooner you have a website, the earlier you can start to promote your app. Unless you are willing to pay hundreds or even thousands of dollars to have a custom website designed, these WordPress themes will give you access to a professional and cheap website. It is more important to actively promote your app than to have a flawless website design. As time goes on you might consider a fully custom built website, but when you are just starting out with your app you should aim to get your name out there as quickly as possible. Think about it logically, it’s much more effective to have a decent website and actively promote your app through networks and such, than spending weeks trying to achieve the perfect look. 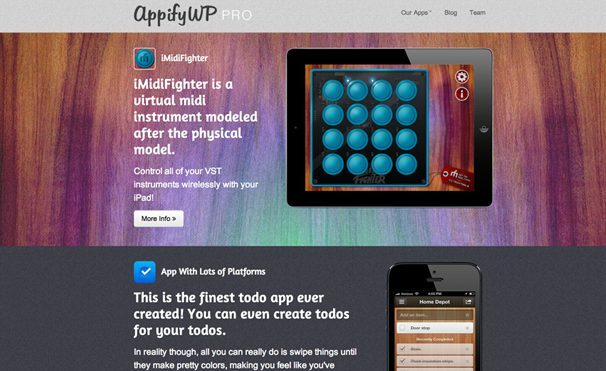 If you are interested in AppifyWP, you can view the demo and find out more details from their official website.